The KSP Command Station is self-contained with an integrated monitor complete with custom-made frame and housing, and was partly inspired by NASA mission control stations. 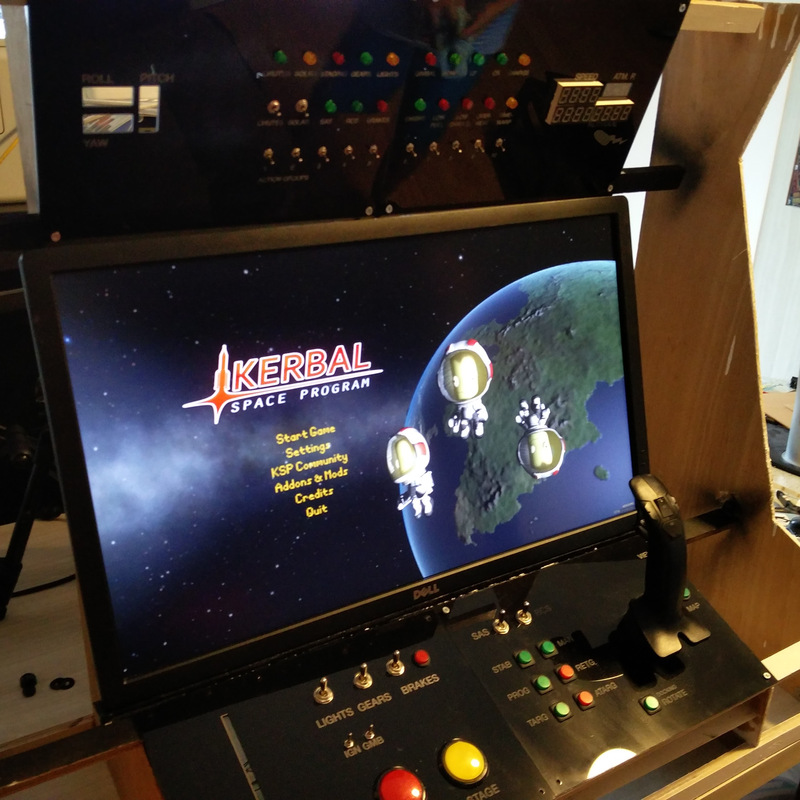 Every single switch and button needed for playing Kerbal Space Program is built right into the unit – not just the ones critical to flight. A lot of design and construction care went into this unit, and it shows. Kerbal Space Program has a thriving mod community, and we took a look at some of the projects in the past. Inspiration from KSP isn’t limited to custom control systems and layouts, however. We’ve even seen a retro-inspired port of KSP to the Apple II. Thanks to [ro0t] for the tip! Overkill? Never heard of that word. Overkill is a word used by people who believe their work is greater than all others. It is a slur against another maker. Rude. The makers themselves call it overkill :) So the headline is only a pun on that. Overkill? Not when you have a full simulator to fly jets at home. There is no overkill. Just open fire and reload! There’s a Simple Rockets game for Android that’s like a 2D version of KSP.